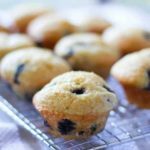 You are here: Home / Bread / Blueberry Muffins – Lightened Up! Blueberry Muffins – Lightened Up! When the going gets tough, the tough make muffins! It’s so therapeutic. When Rachel was little and had a bad day, we would make muffins after school, talk and laugh…it was, and is, so calming. I still make muffins for friends, neighbors and those that I love. I have tried so many different muffin recipes but this is still my number one go to, tried and true, can not dork it up muffin recipe! 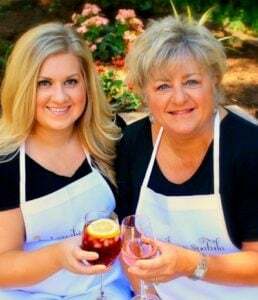 This is a very versatile recipe…substitute any fruit you like, chopped peaches are wonderful! Vary the yogurt flavor as well and come up with your own favorite! 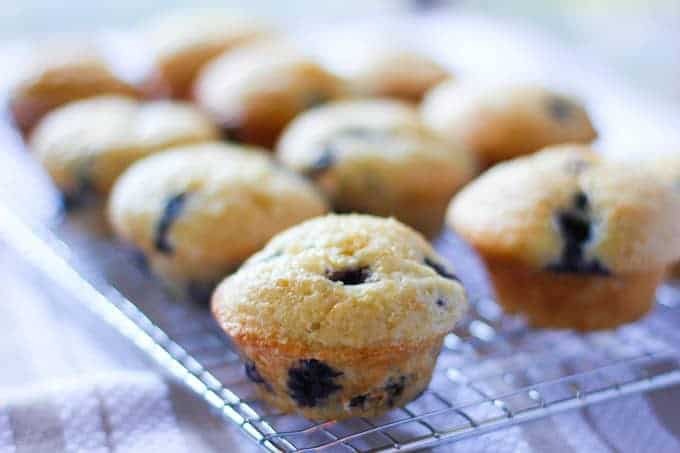 Blueberry Muffins - Lightened Up! Instead of butter, this recipe uses yogurt! It produces a much lighter better tasting muffin and it's better for your ticker! Measure flour, sugar, baking powder baking soda and salt in a large bowl. Make a well in the center and add orange juice, oil, vanilla, yogurt and egg. Stir until moistened. Gently fold in blueberries. Spoon batter into 12 muffins cups coated with cooking spray. Sprinkle with 1 tablespoon sugar.